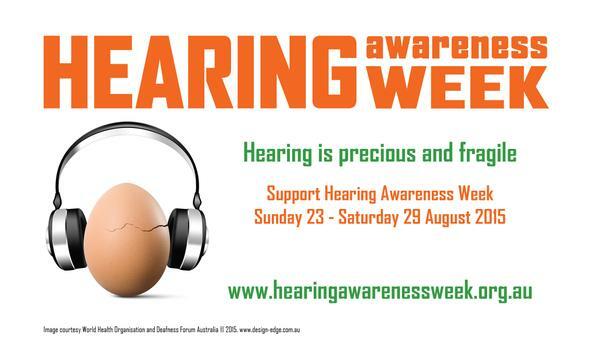 Hear HEARing CRC PhD Student, musician and clinical audiologist Siobhan McGinnity give the low down on hearing loss to PBS FM’s Breakfast Spread as part of 2015 Hearing Awareness Week. In the interview, Siobhan highlights the fact that musicians are more prone to acquiring a noise-induced hearing loss compared to everyone else and should take action to reduce their risks. Cat and Crispi also ask Siobhan about the hearing loss risks of regularly using earbuds, as opposed to the over-the-ear headphones, and what are safe listening levels in live music venues. And towards the end, the very handy Know Your Noise website that can help people work out if they might have a hearing loss, or are at risk of acquiring one, gets a mention. Have a listen by clicking on the audio player on the right.